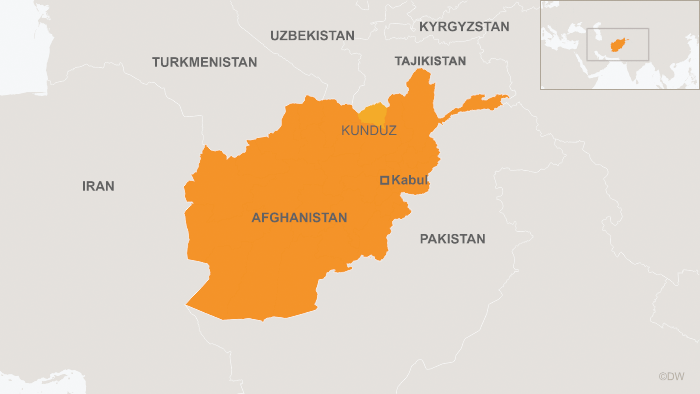 The Taliban captured the northern Afghan city of Kunduz on Monday the 28th of September. They had been besieging Kunduz for months. When the push came to shove, it only took them a few hours to advance and take the city as the security forces retreated to the city’s outlying airport. Three days later the Taliban are hardening their grip over the city, as the security forces await reinforcements and the US conduct air strikes. After a summer of stalemate, the Taliban victory is a major achievement. It fully exposes the weaknesses of the Afghan National Security Forces (ANSF) and underlines the capacity of the Taliban to operate far from their support areas in the south and the east of the country and in a region that is essentially non-Pashtun. This is to say the least highly demoralizing for the security forces and highlights the weaknesses of the unity government in Kabul to deter the enemies of the state from launching bold attacks. Pakistan has been quick to condemn the attack and issue a statement of in favor of what the Foreign Secretary called the legal government in Kabul. This statement was meant to pre-empt that the usual litany of complaints that the Afghan government launches in the face of each debacle that they face. The Taliban’s largest victory in years has came just over a week before the American commander in Afghanistan, Gen. John F. Campbell, is expected to return to Washington to testify before Congress about the course of the war and what America’s continued involvement should be. Some 10,000 American troops are in the country, many of them focused on training or advising the Afghan forces, and the White House has not yet decided whether to keep a force of that number here for another year or begin pulling them from the country in the coming months. The Taliban may eventually relinquish the city once the Afghan forces launch a determined attach with the support of the US forces still in Afghanistan but they have made their point. They are alive and kicking and can strike at will inside Afghanistan, areas that are not their primary turf. In doing so they may also have indicated to their emerging rivals the Islamic State (IS) that they are masters of the area. The IS describes the area of Afghanistan and Pakistan as the Wilayat Khurasan. Whether they join forces eventually can be anybody’s guess. The arriving winter usually signals a break in fighting. The fighting season resumes in spring. This, however, does not mean that the Taliban will be bivouacking anytime soon. They may launch a few more attacks to further scatter and harass the local forces. Pakistan does not have many options. It wants to play the role of a facilitator in bringing the Taliban and the Afghan government to the negotiating table. They were able to bring the Taliban delegation to a 2+1+2 round of talks in the hill resort of Murree in July this year. Their efforts were rudely torpedoed by the Afghan intelligence agency – the NDS (National Department of Security) by the news leak that Mullah Omar, the leader of the Taliban, had been dead for the past two years. The timing of the newsbreak was meant to stop further talks. The aim was achieved as the Taliban started an acrimonious power struggle within their ranks with Mullah Akhtar Mansoor, the new leader trying to exert his writ and control in face of opposition from the dead leader’s relatives (his son and brother). The infighting is since over and Mansoor is firmly in saddle. Whether, he is agreeable for any more talks is questionable. His recent victory has exposed the weaknesses of the Afghan government and their security apparatus and given him the excuse of not talking to a losing enemy. The possibility of the Americans decide to stay back longer than their planned exit in 2017 appears unlikely. The deposition of John Campbell before the US Congress would give an inkling of the mood at the Capitol Hill.